I made this scrumptious cake for the upcoming Big Bend Hospice 2017 Spring Fling, Under a Magnolia Moon Fundraiser which will be held Thursday evening, May 18, at Tallahassee Nurseries. Spring Fling is a beautiful garden party with over 50 area restaurants on site for guests to sample their delicious dishes. And you are invited to attend this year so you can also enjoy the fabulous food, stroll through the beautiful gardens of Tallahassee Nurseries, help raise money for a wonderful cause and maybe even have a piece of my Southern Pecan Praline Cake! My husband and I love going to this lovely moonlight evening event full of food, spirits, and fun and we hope to see you there! Spring Fling has raised close to a million dollars to support some of the Big Bend Hospice’s most important unfunded programs such as music therapy, children’s bereavement, emergency family support, charity care and much more. If you would like to receive more information about Big Bend Hospice’s Spring Fling or purchase tickets, contact Big Bend Hospice at (850) 878-5310 and ask for Connie Palmer or Leila McClure, or you can purchase tickets online by going to the Big Bend Hospice Website. 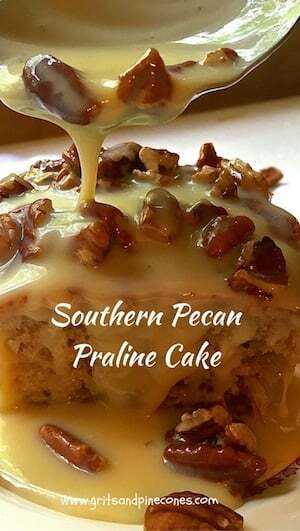 Southern Pecan Praline Cake is easy to make and freezes beautifully. In fact, I have already made several ahead for the Spring Fling and froze them to keep them fresh. 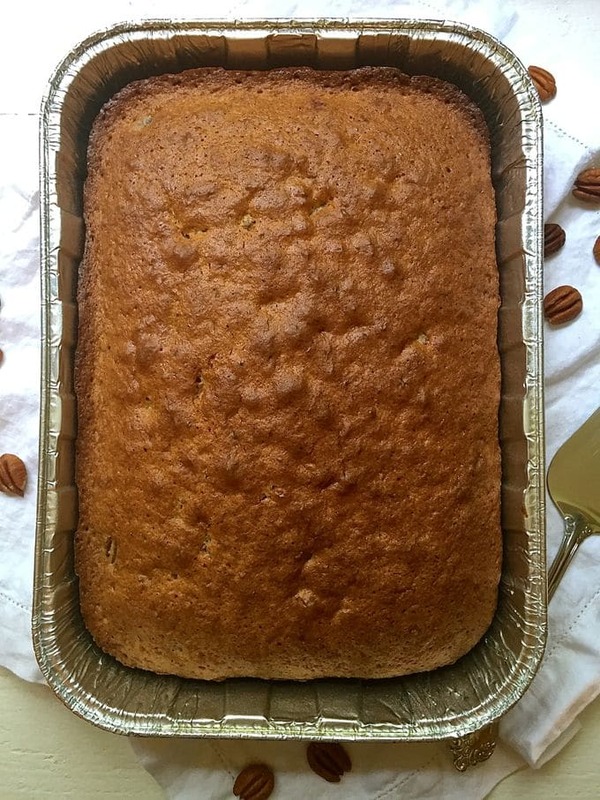 Southern Pecan Praline Cake is also a great cake to take to potlucks and church suppers and keeps well covered in the fridge for about a week. But, the best part about this great cake is it starts with a boxed cake mix! I know there are a few of you baking purists that are rolling your eyes about now because I’m starting off with a cake mix, but that’s what makes this cake so great and so easy! Of course, you know there has to be more to this story, and there is! 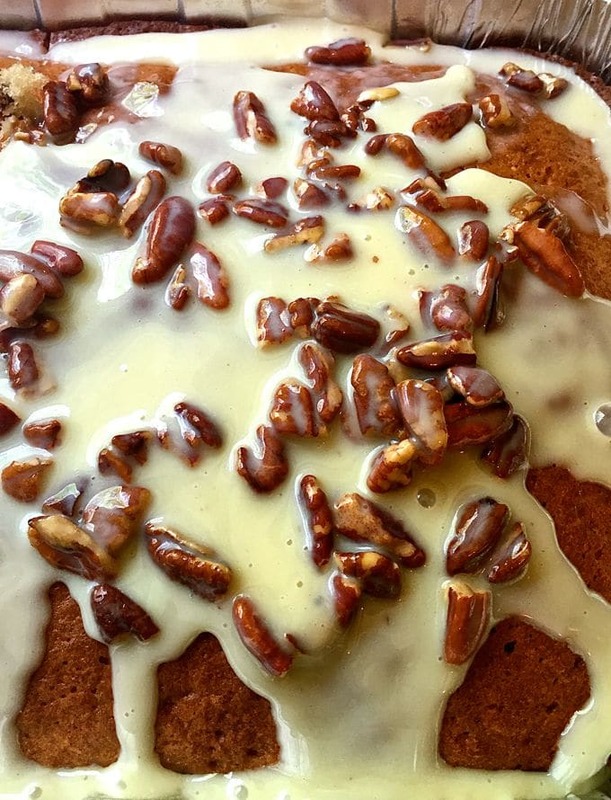 The rest of the story behind Southern Pecan Praline Cake is in its list of ingredients which are: a box of butter pecan cake mix, a tub of coconut pecan frosting (which goes in the cake batter, yes you read that right), eggs, vegetable or coconut oil, and roasted pecans. 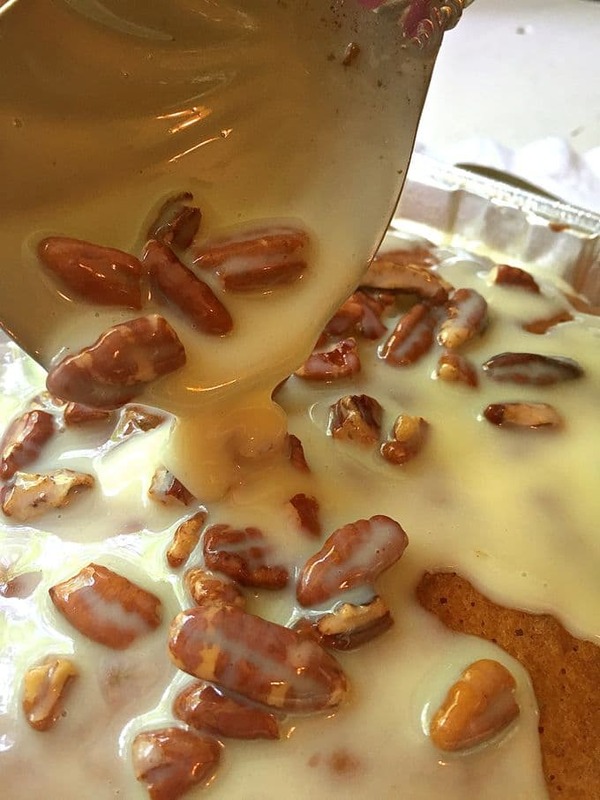 And then, just when you thought it couldn’t get any sweeter, there is also a decadent praline topping made with sweetened condensed milk, butter, and more roasted pecans which is then poured over the entire cake! If you like this cake, you might also like to try these easy to make dessert recipes: Apple Dapple Cake with Caramel Glaze and My Favorite Carrot Cake and Luscious Lemon Swirl Cheesecake. 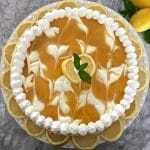 Here is another link if you are looking for even more luscious dessert recipes. 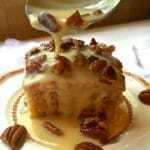 Looking for other popular recipes from the South? Check out these delicious favorites: Southern Potato Salad, Southern Pimento Cheese Spread, Southern Style Crab Cakes, and Easy Classic Southern Tomato Pie. Intrigued? Here are even more, Southern Recipes. When you are ready to make this yummy cake, gather the ingredients and preheat the oven to 350 degrees F. Spray a 9×13 baking pan with non-stick baking spray. Place the cake mix, coconut frosting, eggs, oil and water in a large mixing bowl. Use a handheld or your stand mixer and mix well to combine everything. 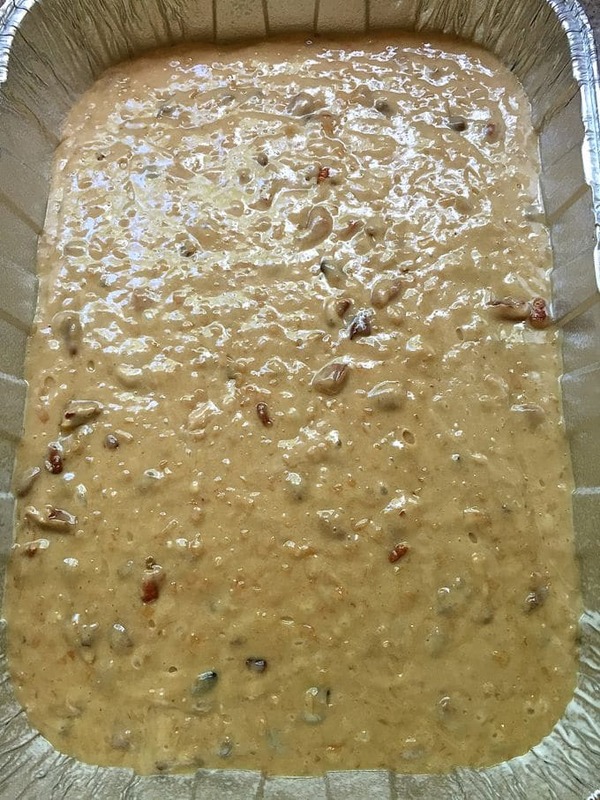 Add the pecans and mix again. This recipe looks wonderful. Butter pecan always reminds me of my grandfather – he used to sneak us a scoop of butter pecan ice cream after dinner when we went to visit. I always love when food can take you back down memory lane! Looking forward to trying this. Thanks so much Megan! I hope you enjoy it! Made this cake. It is so good. Thanks so much for letting me know. I am so glad you enjoyed the cake! Thanks so much Nicoletta! It is scrumptious but very rich! Should the warm topping be poured on each piece at serving time or over the entire cake earlier in the day? Actually, it’s fine to do it either way. If I am having company, I usually wait and spoon the topping over the cake right before I serve it because I think it looks better, but if not, I just pour it over the entire thing. Joe can I cut down on some of the sweetness to make it less rich? Hello! I can’t wait to make this cake. I would like to try it as a bunt cake. Do you think it would turn out well? Thanks for the recipe! 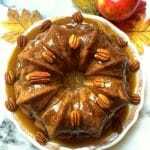 Sure, you can use a bundt cake pan and I’m sure it would be awesome! Do you freeze with the topping on? And if so do you just bring to room temp? Then serve? Thanks I’m REALLY dying to try it! Hi Daylis, I’ve done it both ways and I think it is a little better to just freeze the cake and then when you are ready to serve it add the topping. If you freeze it with the topping it seeps into the cake more and doesn’t make quite as nice of a presentation. I hope you enjoy it! There is no getting around it, cake is really rich! The only thing I can think of would be to put another topping on it. But I’m not sure what you could use. So sorry I couldn’t be more help. I tried it. Absolutely delicious – especially. With vanilla ice cream. Thanks for sharing it! Made this for my birthday. Served it with butter pecan ice cream. It was fabulous. Hi Peggy, thanks so much for letting me know that enjoyed the cake and I hope you had a great birthday! Hi Karen, if you are in Tallahassee they have it at the Thomasville Rd Publix in the cake mix section. I used Betty Crocker because that’s what they had, but I’m pretty sure Duncan Hines makes it too. I have made this cake 2 times to bring to potlucks at works over the last month. I am having to bring another today due to requests for more. It is the best cake ever. I pour the topping on it before bringing it to work for convienence. Works perfectly. Easy and delicious. Hi Siobhan, I’m so glad you and your co-workers are enjoying the cake. Thanks so much for sharing! Hi Charlotte, I like the way you think! I know some one who pokes holes in the cake then puts the icing. Hi Linda, I was just talking with a lady yesterday who told me she did the same thing. She said she thought it made the cake too dense, but her family loved it that way. I can’t wait to try this. I wonder instead of water could I use rum or half rum and half water to equal the 1 cup liquid? Will update once Ive made it. Thank you for the recipe. Hi April, I’ve never substituted alcohol for water in this recipe, but don’t see any reason why you couldn’t. Please let me know how it turns out! Are you heating the topping on the stove until the butter melts then add the pecans? Hi Pat, yes, that’s correct! Hope you enjoy the cake! I made this luscious cake for a small dinner party and didn’t need a cake this big. 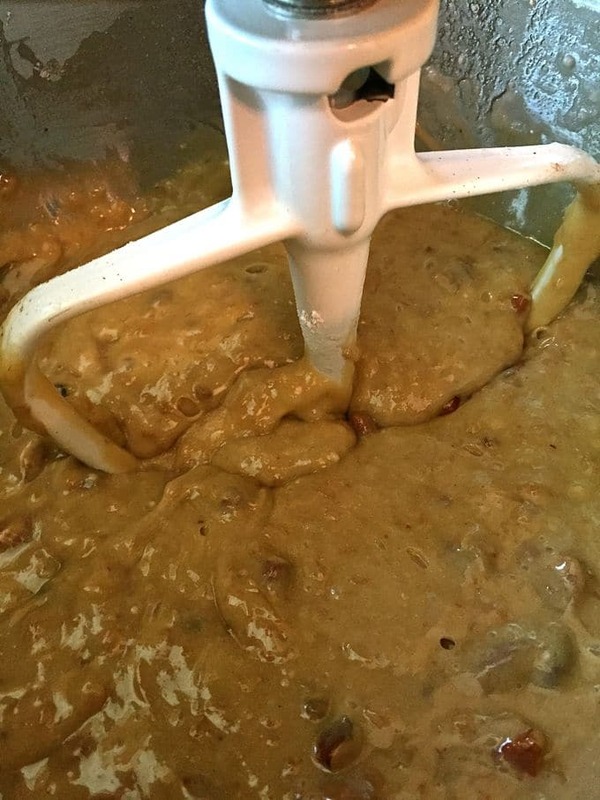 I baked it in two 8″ square pans for 35 minutes, and froze one and half of the sauce for later. It was a big hit! Thanks, Sharon, for another great recipe! Hi Susan, I’m so glad you and your friends enjoyed the cake! And, thanks so much for letting me know. Also, don’t you love it when you are able to save half and freeze it so you will have a treat later! Thanks so much for letting me know you enjoyed the cake and for sharing your tweaks! They sound delicious! This looks great, only my family doesn’t like coconut–I do, but they don’t. 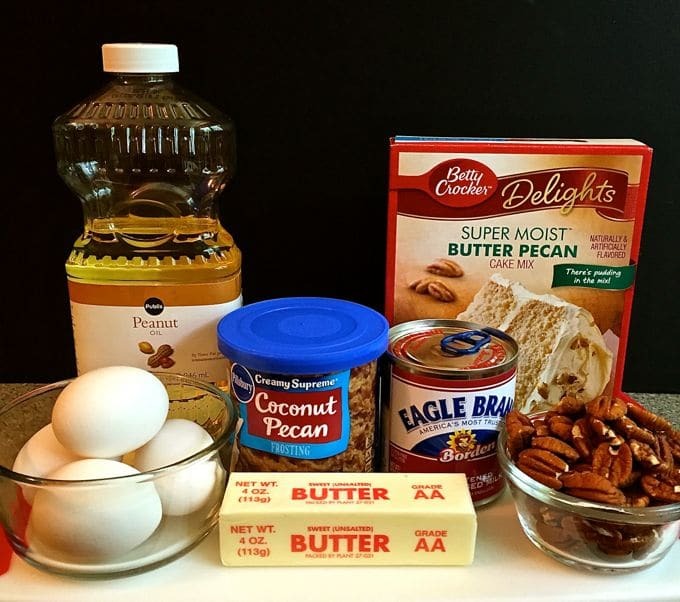 What kind of frosting could I substitute for the pecan coconut? I am sorry to take so long to get back with you. I actually went to the grocery store to see if I could find anything else that might work. But I didn’t have any luck. If they don’t like coconut, I think I would just follow the directions on the cake mix to make it as is, but add the pecans. Then I would make the icing according to the recipe. Hope that helps, sorry I don’t have a better solution. Sharon, no worries; it only took 2 days I think. Thanks for the reply. I may just make it and say “too bad”. There are several who don’t like coconut. So don’t eat it. lol I really appreciate you going to the store to look, too. 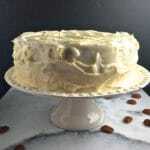 Thank you so much for sharing a great substitute for the coconut icing. I normally make individual little cakes for guys at office for Christmas and I am thinking this might be good to try out. You state the cake would keep in the fridge for a week. Do you have to keep it refrigerated? Hi Sylvia, I have always kept it in the refrigerator because of the sweetened condensed milk in the icing. If you don’t add the icing until you are ready to serve it, I think you could leave it out. I recently made this cake and it was great! For the picky people I know, what frosting would you suggest to use without coconut? I haven’t ever made this cake with anything but the coconut pecan icing so I’m not sure what else could work. I wonder what would happen if you put the coconut icing in your food processor and processed it until the coconut was finely ground up. Do you think that might satisfy your picky friends? I’m so sorry but that’s really all I can come up with. If you do swap out the icing or try the food processor trick, please let me know how it turns out! What if you don’t like coconut? What can you substitute for that icing? I haven’t tried this out, but one of my readers who didn’t like coconut said she used Salted Caramel Frosting. She said it was delicious! If you decide to check it out, please let me know how that works for you! This is a 5 STAR cake!!!!! Hi Judy, I am so glad you liked it! Made this cake three times last year! It’s my new favorite for company. So easy, moist and delicious! Have used walnuts when didn’t have have pecans. I prefer topping spread over cake in the pan. So glad you liked the cake! It’s a favorite of ours too! Thanks so much for letting me know. Have you ever baked this as a 3 layer cake? And how long would you bake them? Hi Sherry, I haven’t ever baked it any other way than a sheet cake. However I don’t see any reason you couldn’t. I would guess you would bake the smaller pans about 20-25 minutes. I hope this helps! Let me know how it turns out. Thanks so much for leaving a comment. I’m so glad everyone enjoyed the cakes. Also, thanks so much for the tip about using just a plain butter cake mix. I know the folks who can’t find butter pecan cake mix will appreciate it.